Getting you set up right. We’ve got the experience, expertise & products to help you create an amazing sound experience for your audience. 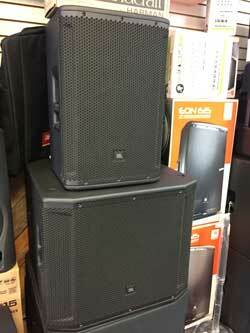 We carry a large line of Sound Accessories, Sound Reinforcement, Stage Lighting and DJ Gear. 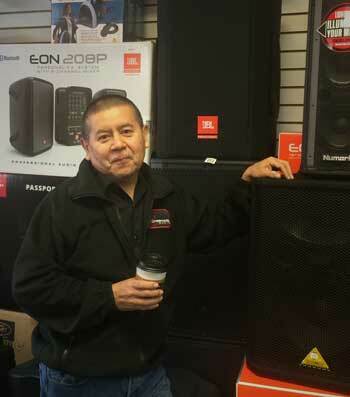 As an added bonus, Rich, our owner, has 25 years in the area of Sound Reinforcement and is ready to help you find exactly what you’re needing. Rich also offers Consultation, Installation and Training, if you’re interested in some help from a seasoned veteran of the field. Here to Help. 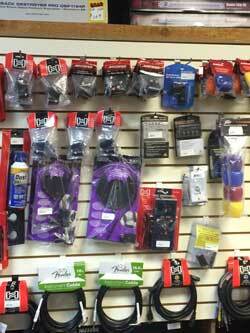 It’s our mission to help you find just the products that will suit your situation and budget. 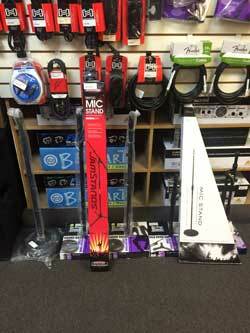 We’ll look at the items below and help you determine what may best suit your needs. Have a look through what we offer below. 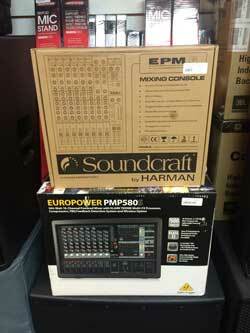 We also offer Sound Consultation & Setup. 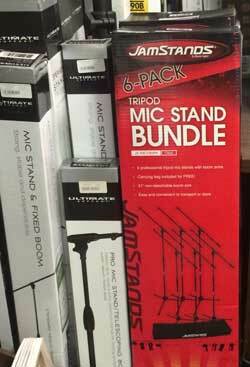 We offer a number of accessories including mics, wireless mics, mic & speaker cables and stands, in ear monitors and more. 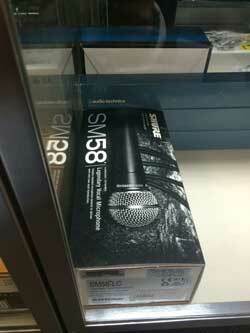 And, as always, if we don’t have it in-stock, we can order just about anything you’re needing. 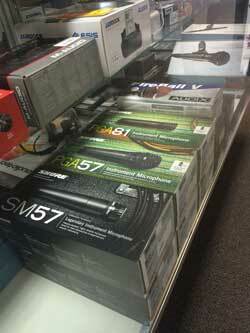 We offer a wide range of products to make your sound come to life. 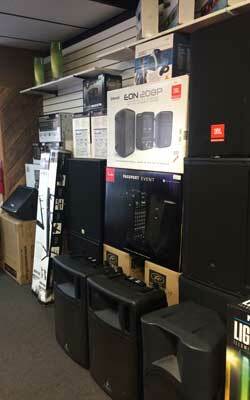 Whether you’re looking for mixers, speakers, power amps, monitors, effect processors and more, we can set you up with what you’re needing, whether it be in store or by special order. 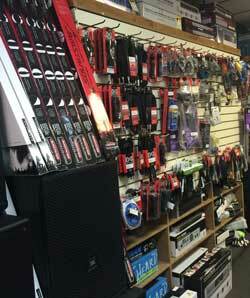 Crossroads carries and has ordering access to a number of products and accessories. 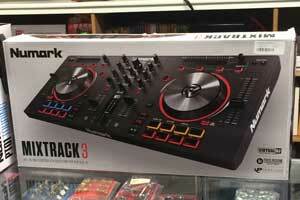 From Turntables to Controllers to Mixers, we can hook you up with the equipment to suit your style and budget. 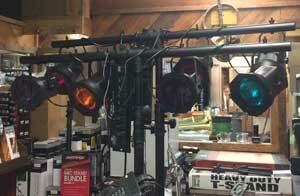 We carry a variety of Chauvet lighting products and accessories. Whether you’re looking for Atmospherics, Moving Scanners, Spotlights or Washlights we can get you what you need to light up your show. 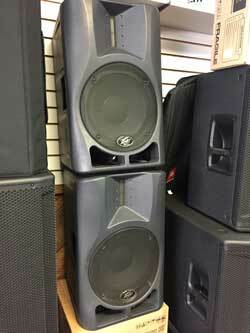 Ready to bring home your system? 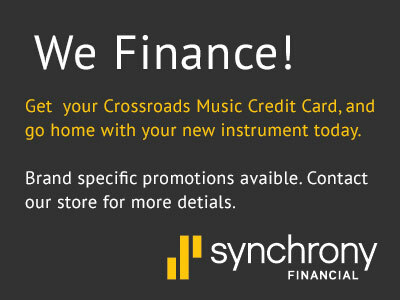 Our credit card can give you specific financing promotions with approved credit! 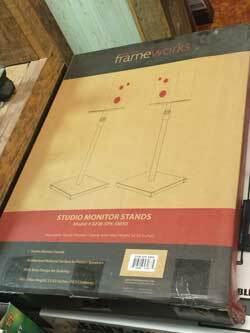 Click here to learn more, give us a call or come on down to the store. We’ll be glad to help you get started.